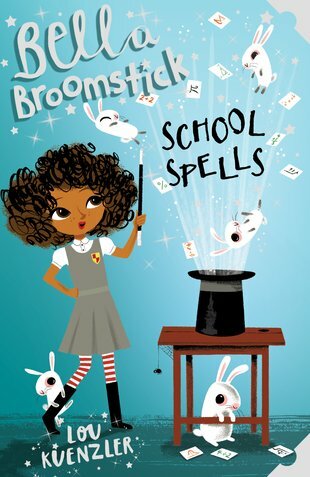 Meet Bella: hopeless witch and super friend! She’s banned from doing magic – but will she bend the rules to help a buddy…? Bella is a lovely girl: the nicest friend you could have. She’s also the worst witch ever. She’s such a menace with a wand that she’s been banned from doing magic, and sent to live in Person World. (Who said ‘punishment’? Bella loves it!) But now Bella has a problem. A school bully, Piers Seymour, is being horrid to Bella’s friends. Would it be wrong to stop him with a little spell? Abracadabra! Oops – where did those cuddly bunnies come from?